There’s a simple beauty that can be found in Bryce Canyon, that when discovered offers a whole new realm of possibilities. 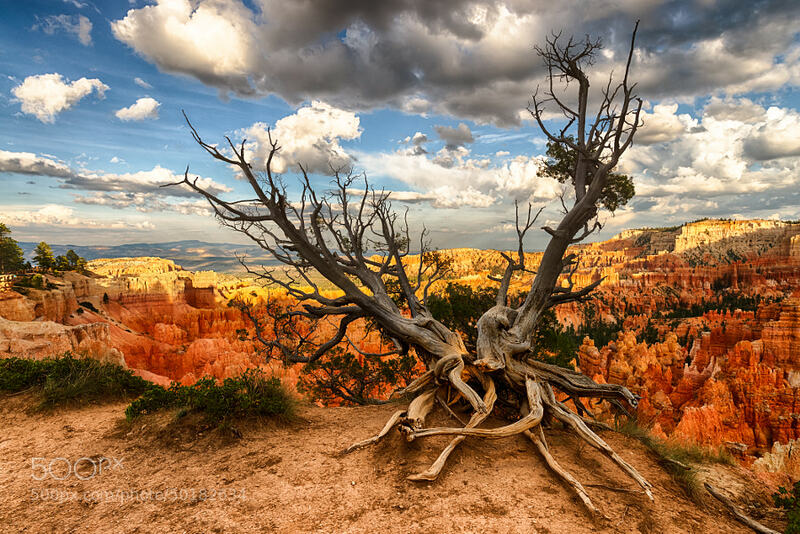 Yes the awe-inspiring beauty of the amphitheater that is Bryce is hard to rival, but when you can see things from a different perspective, when you can stop where you are and see an old twisted up juniper tree who once kept watch over this canyon, that’s when things begin to change. That’s when you don’t just see a nice view, you see a view that has a story to tell that’s older than you, older than your parents and older than this country. You begin to look for small things that frame the picture, small things to add to the vista that add such a great variety and natural beauty to the scene. That’s what this picture say’s to me, what does it say to you? Music, video, art all can speak different things to different people, that’s why we love them. So without a doubt a picture like this would say something completely different to someone who may have never seen this vista before. What does it say to you?